WASHINGTON — Now in its tenth year, the annual DC Design House is bigger than ever. 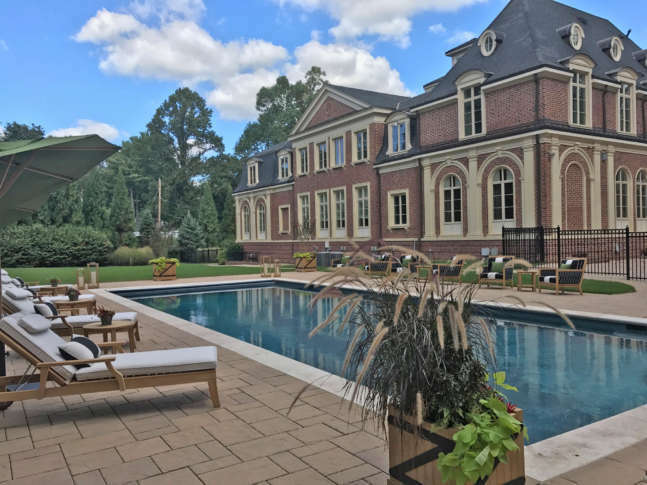 This year, 23 designers transformed a nine-bedroom, 27,256 square-foot Potomac, Maryland, estate into a luxurious showroom, highlighting the latest in home design trends. When the Design House opens to the public on Saturday, Sept. 30, visitors will have the opportunity to walk through the carefully curated spaces, talk with the designers, and even shop the looks in the Design House’s boutique, with proceeds from the event benefiting Children’s National Health System. If you plan on stopping by, Susan Hayes-Long, chair of the DC Design House, has one piece of advice: Look up. “Because the ceilings are so important,” she said. And don’t forget to bring your appetite. This year, the Design House will have an on-site cafe — appropriately located in the pool house.